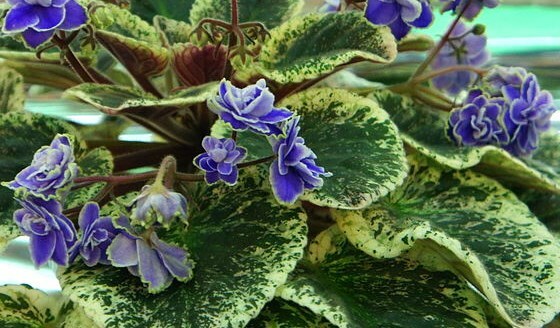 “African violet (Saintpaulia),” by mk2010, via Wikimedia Commons. I went wild over this poem from Tricia Knoll, and I’ve never owned an African violet. I think you will feel the same. She was kind enough to let me share it with you today. 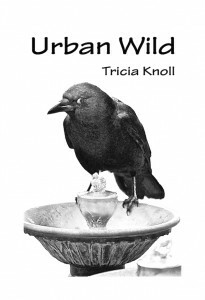 You might also wish to check out her chapbook “Urban Wild”–it’s full of goodies. lazy-girl gifts for the frail elderly, not for mothers of newborns. A pick-and-grab of metallic foil and a humble bow. Cheap. of apricots and watermelons, maybe an edging of white. in the sun. Blooms and light shows. and a bowl of jelly beans. Not too much water, just enough morning sun. Water-soluble fertilizer. Plush earlobe leaves listening to quiet violins. Last fall I tired of sweeping up after an asparagus fern in my laundry room. I’ve seen a million times. and rebloom as if growing old is easy. 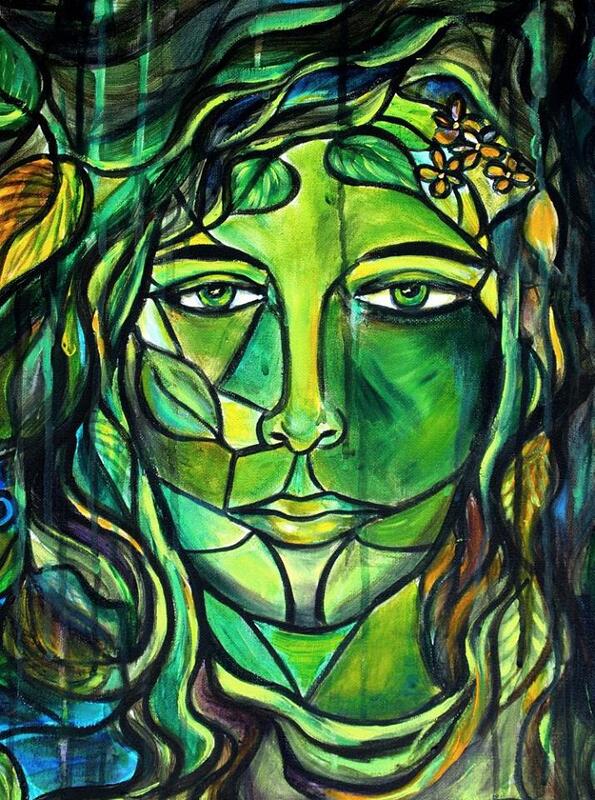 Summertime is the ideal time for connecting with other green women, so imagine my joy when Marlaina Donato wrote, sharing her art, her poetry, and an essay about her green love. Today, I’m happy to offer these literary blossoms to you. Toss veils of shadow against the wall. To taste dappled days scented with cedar. Who had faith in seeds. A golden umbilical cord connects me to the natural world, one going back to my parents, especially my mother. My early years were cocooned in an enchanted corner of rural Pennsylvania with an organic garden, a compost pile, and a few acres of bliss dotted with birches. I can still see us—mother and daughter—one turning the earth and the other sprinkling the seeds; our hands securing the soil, pinkies touching as we disturb the earthworm in his cool, rain-fragrant bed. I see us pausing after our work with our backs against dark-chocolate earth, dusk closing in. Robins sing the day to sleep with their plaintive liturgy, and in the gloaming, we giggle and then whisper a prayer, too. 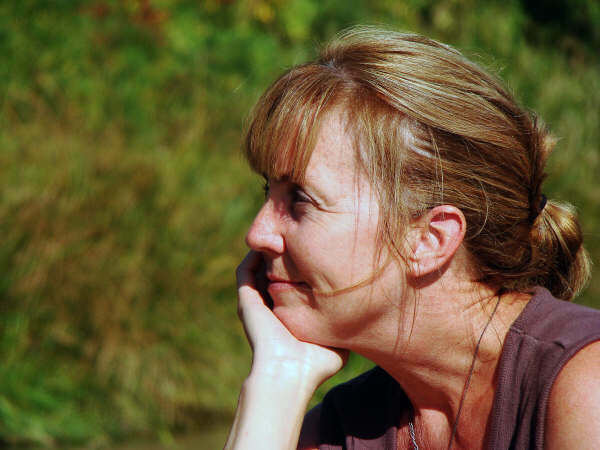 Those years and my loved ones are lost in the dusts of that old unpaved road lined with wild roses and blackberries; now it is just me, peering from this curious rock called midlife. I claim no portion of soil as my own, but the world is my garden. My kitchen herb corner is filled with dried treasures from the meadows and lakesides of my favorite haunts. 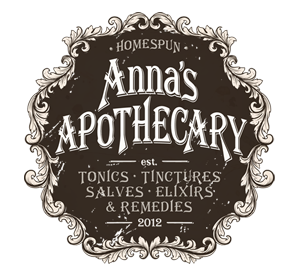 Mama’s whisper is still audible when I infuse anise hyssop from a friend’s garden or bruise marigold blooms between my fingers. Dad is still with me when I catch a fire in the air on a winter night, the scent of oak his and only his. As the seasons drift higher, one upon the other, I am still a child with a drift of August daisies in hand, wealthy beyond measure. 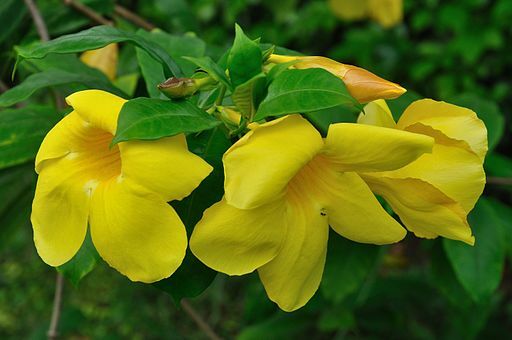 Allamanda by Biswarup Ganguly, via Wikimedia Commons. “The garden flower, Allamanda cathartica, also known as yellow bell, golden trumpet, buttercup flower or har-kakra in Bengali.” Photograph taken in mid-monsoon at Kolkata. 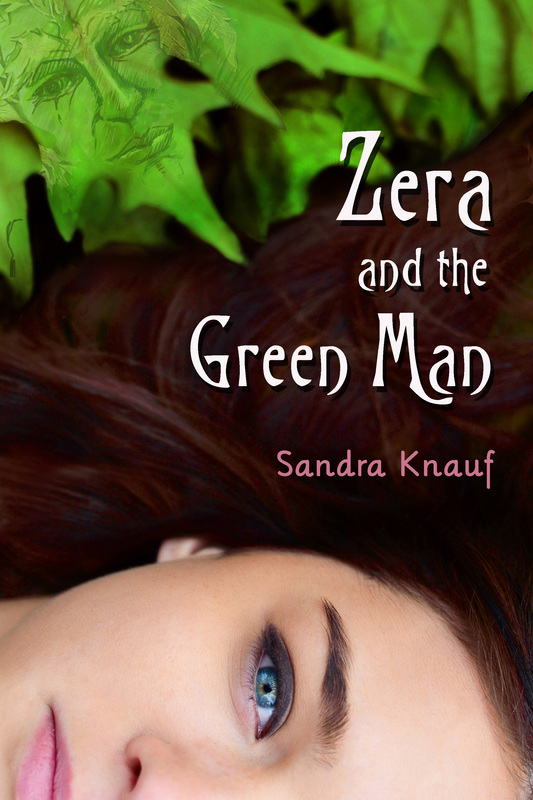 I became acquainted with poet Earl B. Frederick and his work when I reached out to readers this summer on my Greenwoman newsletter. 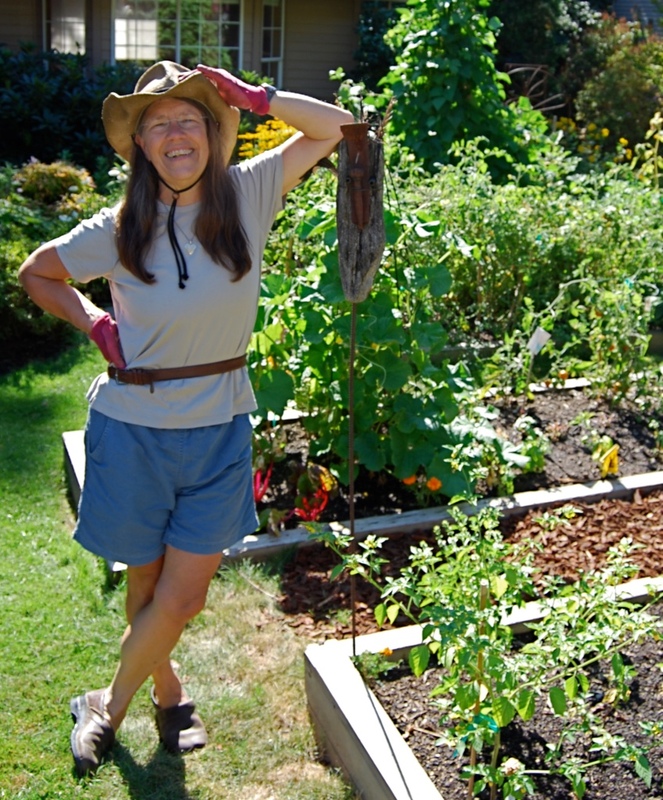 I told readers I wanted to make a deeper connection, asked them to share their work, their feedback, and I even put out an invitation to get together for a drink or garden tour if they were in town. Earl was generous enough to share his link on allpoetry.com and his website, Rock Bottom Imagineering. What a treasure trove! I learned that Earl was not only a wonderful poet, but that he had a background at NASA, that he created his own outdoor brick oven, that he gardened and grew apple trees (he even has an apple press). In turn, I told US Represented editor Eric Stephenson about Earl’s work (I have a weekly Greenwoman column there), and Eric, an English professor at one of our local colleges, really liked it, too. Two of Earl’s poems have been published on USR so far, “Tree of Life,” and, this week, “Circle“. Today I’m finally sharing this poetry with you, interspersed with an interview about Earl’s work. But first, a poem! Flora’s Forum: I read in your bio that you’ve been writing poetry since your teens. What inspired you to start? When was the first time your work was published? Earl Frederick: Doesn’t every teenager try to write poetry? Bottom line is probably “hormones” and the unrequited loves of the teenage years. So much romantic tragedy in your life. Also, I was a teenager in the 1960’s; there were so many role models for indignation regarding a wide range of social issues. And you can express anything in a poem. Those years though, I was the closet poet, a “Dear Diary” kind of compilation. It wasn’t until my mid to late 20’s (1970’s) until I ever dared offering my work up for publication. I submitted some work to the poetry column of the Delaware State News edited by a E.A.Barrell (god bless him!). He was very kind to publish a few pieces, but was kindest in his encouragement to continue writing. I never met Mr. Barrell, but still think of him fondly. He knew that eventually a writer will find their voice. Time, and the continued reading of other writers, will guide you, but persistence and practice are the keys. Flora’s Forum: Your bio says you were educated in earth sciences at college and worked for NASA. Can you tell us a little about that? Did you write poetry during your career? Earl Frederick: Ha ha, I never let work get in the way of anything! Yes, my college education consisted of a Bachelor of Arts degree with a major in geology and meteorology, mostly. Both are sciences that emphasize observation. From 2007 until early this year, I had been posting poems to, of all places, a free blog site hosted by Weatherunderground.com. I always felt obliged to keep some element of nature in my contributions, so that for the past 8-ish years, focus was fortuitously pointed in the nature direction . . . what a gift! How many poems have been written about snow? About summer rain? Like shooting fish in a barrel. I put myself on a poem-per-fortnight (I always wanted to use that word in a sentence!) regimen. WUnderground removes your blog from active status after 14 days, so I tried to keep my blog visible by keeping to a schedule. My 37-year- (and counting, I still work for a contractor to NASA part-time) career was conducive to writing, affording me travel to “exotic” places: Morocco, Chile, Greenland (22 visits), and even Antarctica, and my work afforded me hours of solitude while tending equipment on the ground while my colleagues were flying about mapping the earth (since 1991, primarily ice caps in support of NASA’s climate change initiative). Flora’s Forum: Your work at NASA’s a great segue into your next poem, one I especially loved. 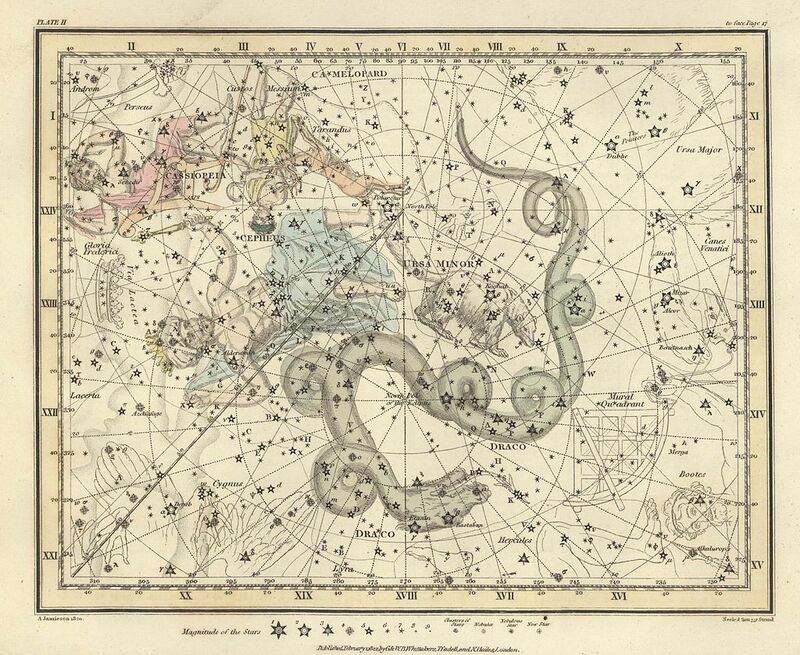 Alexander Jamieson, Celestial Atlas, Plate 2, via Wikimedia Commons. As Venus, Jupiter, Antares winked down. To someone unfamiliar with dark nights. Eternally waiting for a fish to jump. Two sister planets had yet to rise. But empty it was not. Flora’s Forum: What do you enjoy most about your art? Earl Frederick: I love words! Etymology, sound, their malleability (make up your word if none exists . . . the hyphen is an amazing tool!). I always have something I want to say in a poem, but it might only be a two-word phrase that I read or heard. The fun begins when something more rises from so little. Flora’s Forum: What is the most difficult thing about writing poetry? Earl Frederick: I somehow don’t find anything difficult about writing, it’s like if there is an idea, there will eventually be a poem. I wonder at times who exactly is writing, it’s like I’m holding the pen, facilitating the real poet. I’ll leave you to figure that one out, I sure can’t. Maybe that method of just waiting is the most difficult part: being patient, trusting. Flora’s Forum: Do you have a Muse? Earl Frederick: The easy answer is yes, Erato, the classic muse of poetry. If you mean a living muse, I’d say, not really. Was it Dante who had Beatrice as his muse or object of affection? The corniest answer would be yes, Mother Nature; things natural have given me most of my poems. Flora’s Forum: You know I don’t find that corny at all! Do you have a favorite time and/or place to write? Earl Frederick: I have written most poems in the evening. That said, my editing, the 2nd, 3rd etc. writes, are done at any time. As to place, even though I write in the evening, my ideas come anywhere and anytime. Flora’s Forum: What’s your favorite season to write about, and why? Earl Frederick: I’m not a particular fan of summer (except for home-grown tomatoes) so I’d say my favorite season is the 9 months around summer. If you scan through my summer poems you will find a recurring theme bad-mouthing cicadas, the summer ear scourge. Flora’s Forum: What’s your favorite poem/poet? Earl Frederick: Early on I was captivated by Shakespeare’s sonnets and the poems of Emily Dickinson and Elizabeth Barrett Browning, and still keep copies of their works handy. I tried writing like them, but never could or would master their styles. Realizing that was important, I had to search for a style that I was comfortable with, settling on the much easier free verse form. No rules! No restrictions! Then, I discovered haiku, and fell in love (Basho is probably my favorite). Nature-themed, succinct, but still with the 17 syllable (17 English syllables, anyway) challenge. Another favorite poet is Laura Crozier. A close second is Mary Oliver’s “Red”; it makes me cry. Flora’s Forum: Yes, the one about the foxes, and death. It’s poignant indeed. Who are your favorite prose writers? Earl B. Frederick, photo by Thomas Overly. 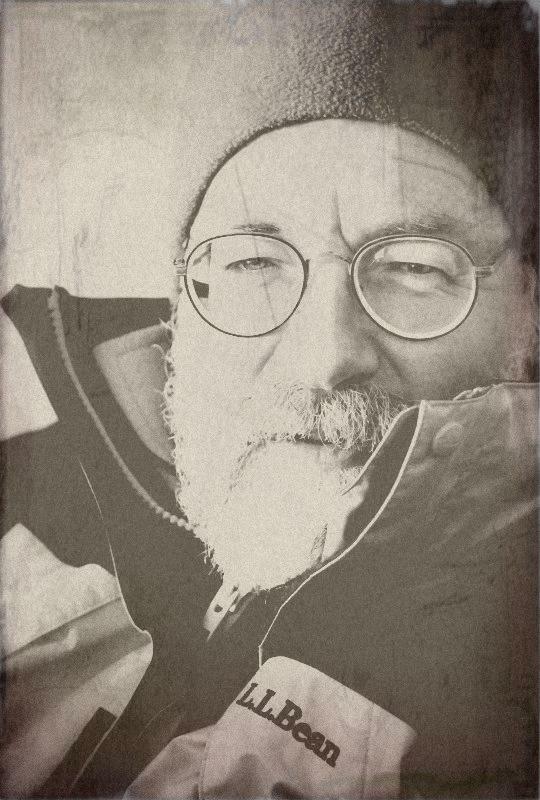 Earl Frederick: My favorite prose poets: Saul Bellow, Ernest Hemingway, Jose Saramago. Flora’s Forum: I can see the economy of many of your favorites in your work. I’m going to switch gears now, to gardening. You live on the Eastern Shore of Virginia. Tell us about that, and when you started gardening. Who taught you? What do you like to grow? Do you grow vegetables? Earl Frederick: The Eastern Shore (of Virginia) consists of two Virginia counties separated by the Chesapeake Bay from the rest of Virginia. I live about 5 miles from the Atlantic Ocean to the east and 10 miles from the Chesapeake to the west. It is rural in its nature with most of the economy depending on agriculture (animal feed grains or chicken production). To the north is the tourist island of Chincoteague (think “Misty of Chincoteague” by Marguerite Henry) and The NASA base at Wallops Island. Two hours to the south, and across a 16-mile-long bridge/tunnel spanning the mouth of the Chesapeake, is Norfolk, VA. I was very close to my mom’s parents, spending summers with them in the coal region of Pennsylvania (Shenandoah). My grandfather was responsible for so much that I am and do. He let me help him in his garden and greenhouse and thus got me interested in growing plants. His stories prompted me to learn apple tree grafting long after he had died. He was a carpenter in the mines and always let me work in his shop, encouraging me mostly to fear nothing new, to always try, to ask questions. My parents, too, liked gardening, even though they (we) lived in a row house in a small city (Lancaster, PA , self-proclaimed “Garden Spot of the world”). Their postage-stamp-sized back yard was bordered by tomato plants, onions, peppers or whatever struck my Mom’s fancy, even a flower or two! I like to think that I am a good gardener (though this year in particular has me wondering about the “good” part) and grower of perennials, especially under-utilized native species. I dabble in bonsai (I have a 55-year-old grapefruit tree that my grandmother started from a seed!) or at least the Chinese version that doesn’t use wiring the branches to attain form. Flora’s Forum: That’s a great history, and I have to say “Wow” on that 55-year-old grapefruit tree from your grandmother. That is cool! What inspires you in the art of gardening? Earl Frederick: I see a general lack of interest in gardening, especially growing vegetables. My parents told me about the Victory Gardens that people were encouraged to grow during the second World War. There was a resurgence during the 1970’s with the back-to-the-earth movement. I’m hoping that we are just in the middle of one of the low-interest periods, but I see a growing trend toward hybrid species and a disinterest in the “heirloom”/open-pollinated varieties. I bet a lot of people in the past worried about the next generation, but my concern is a general loss in the need for independence . . . I don’t mean cut the wires, grab your gun kind of independence, just the kind that doesn’t let simple skills slip from our repertoire. Flora’s Forum: Maybe you’re not seeing it, but there has been a renewed interest in these skills in the last decade. A lot of people trying to go “off the grid,” and learning how to grow food, be more self-sufficient. On my urban street, we have two people raising chickens and one also has honeybees. These are people in their early 30s. Community gardens, which were big in the WWII area out of necessity, are coming on strong. So, don’t give up hope! We’ll keep those arts alive. Now, you mentioned that you might have a book project in the works. Tell us about that. Earl Frederick: I thought that the book project was a secret. Flora’s Forum: Nope, you mentioned it in an email. Cat’s out of the bag. 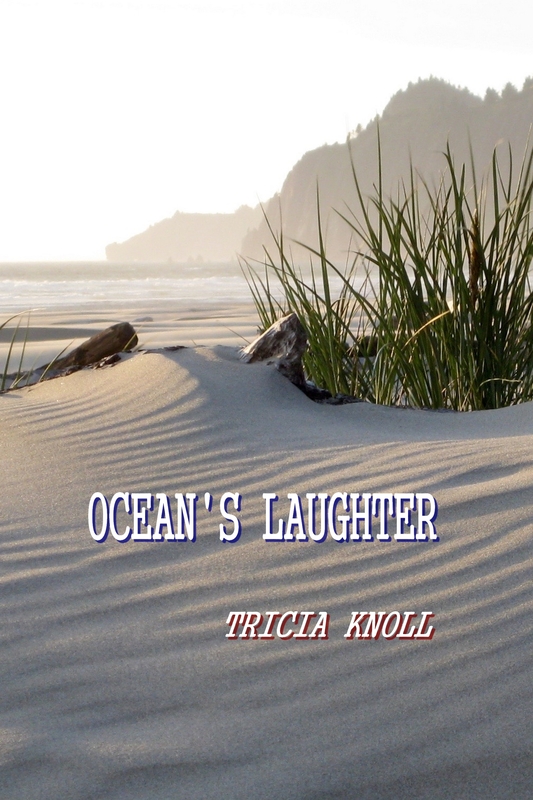 Earl Frederick: There is nothing definite afoot, though recently I attended a small book fancier’s gathering that featured a brief talk by a small, local publisher about the joys of self-publishing. I know that it would be a vanity publication, but will probably give it a try. Heck, next step is being named poet-laureate, right? Flora’s Forum: I hope you do put your work in book form, and it is a joy to self-publish! I feel a tone of kidding around with the poet-laureate comment, but I can see it. You’re too humble. Thank you for sharing your work with us, Earl. It’s been great fun! I didn’t put in a garden the year my mother was diagnosed with leukemia. Her phone call came in early May, before any planting had begun. I spent the rest of that summer traveling the 500 miles between my home and hers. She died almost one year later and when I tallied up my mileage, I realized that I had driven those roads between us 13 times in 11 months. There was little time or energy for anything else. My mother was a self-taught gardener. Flowers were a passion, especially common, hard-working varieties like marigolds, zinnias and sunflowers. She called them “rewarding” because they gave so much for so little. She had little patience for fussy roses and delphiniums, but was always eager to give a Joe Pye weed or a butterfly bush a try. Russian sage, coneflowers, daisies, bee balm, lemon mint, sweet Annie and black-eyed Susans ran wild in her yard while pots of bright geraniums and fragrant rosemary filled her deck. There was always room for one more climbing vine, one more shrub, a few more limestone rocks hauled home from her beloved Kansas prairie. But the year of her illness was a barren one. Between the long hours at the hospital and the time spent taking care of my father, who was in poor health himself, I struggled to keep her gardens growing. Exhausted and heart-sick, I’d water and weed until night fell. It seemed imperative to keep her flowers alive when she was struggling so valiantly to do the same. The thought of them dying was as unthinkable as the thought that she might die. But she did die. Easter was only days away and the air was rich with spring. I had expected to be numbed by her death, to be deadened myself, but instead the world took on a stunning vibrancy. I remember the brilliant early evening light as my brothers and I sat silent on the deck after returning from the hospital for the final time. I remember the smell of shoe polish as my husband gently worked on a pair of my mother’s pumps for me to wear to her funeral. Hundreds of white lilies glowed against the dark cherry wood of the sanctuary as we arrived for her service and a hundred voices sang “Home On the Range” as we left. I remember hot black coffee and the zest of fresh lemon cake; the quiet sound of weeping and of laughter; the heavy, warm weight of my little nephew held tight against my chest. A month after her funeral, I returned to Kansas to visit my father. When I pulled into the driveway, all the gardens were in bloom and my heart was briefly tricked into believing that all was well, that my mother was home and that this terrible mistake hadn’t happened. I stood amongst the sweet Annie, overwhelmed with disbelief that the world could go on without my mother in it. But it had. And it does. Out of cold, harsh winters life continues, even when we think it cannot. It continues even when we wish it would not. And so, at my father’s request, we gathered family and friends to tend to my mother’s gardens one last time, working together and sharing a picnic after and letting the flowers serve as a final testament to my mother’s life. Two years later, my father was dead. Fifteen months after that, my little nephew died unexpectedly. We had arrived into a decade of death, into a cold, harsh winter of the heart. I was afraid that those of us who remained would not survive intact as a whole. But out of this darkness roots deepened and a newly fashioned family flowered. Those of us who had been the children learned to be the elders instead. Phone calls became more frequent. Birthdays and holidays were celebrated and vacations taken together. Marriages were made, step-children were welcomed, and miracle baby Matthew arrived, born into the family who had lost their little boy. On our final day at my parents’ house, I dug up violets that my mother had transplanted from her mother’s garden to carry home to mine. The wheel turns. The circle abides. The devastation of grief may feel incapable of growing anything at all, but in truth it is fertile ground if tended with kindness. It is all so precious and so fragile that I don’t know how our hearts bear it. But somehow they do. Somehow they are stronger than we think. 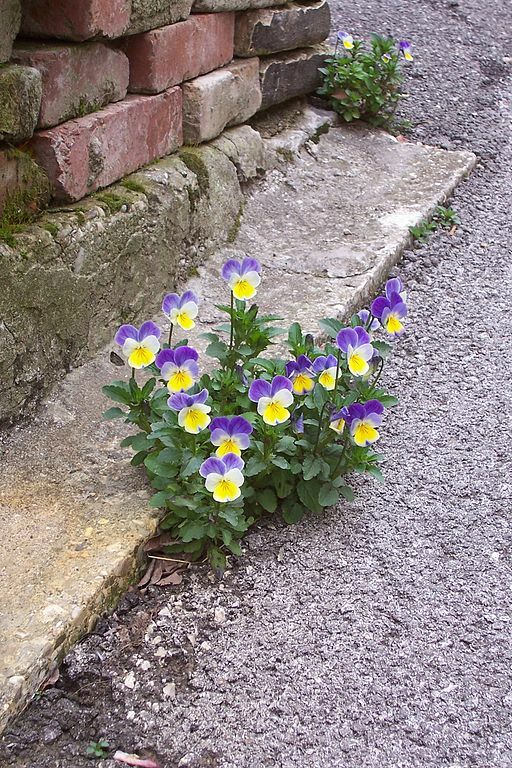 Somehow they find their way back into the sun where they bloom and flower again. 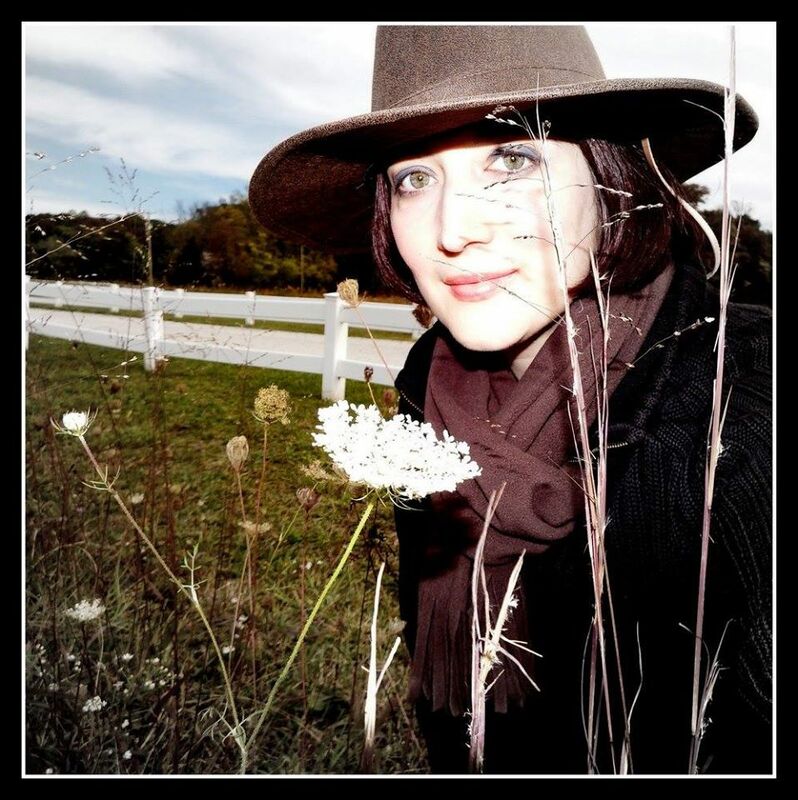 Jamie Stevens-Beel recently relocated to a remote acreage in northwest Missouri where she tends to her animals, picks wild blackberries, hosts monthly locavore potlucks and writes both prose and poetry. Her work has appeared in the publications Wholeness and Healing, Country, When Smoke Filled the Sky, and the anthology A Crack in the Air. Currently she is at work on an adult fable about a little gypsy girl and the orphaned wolf cub she befriends.